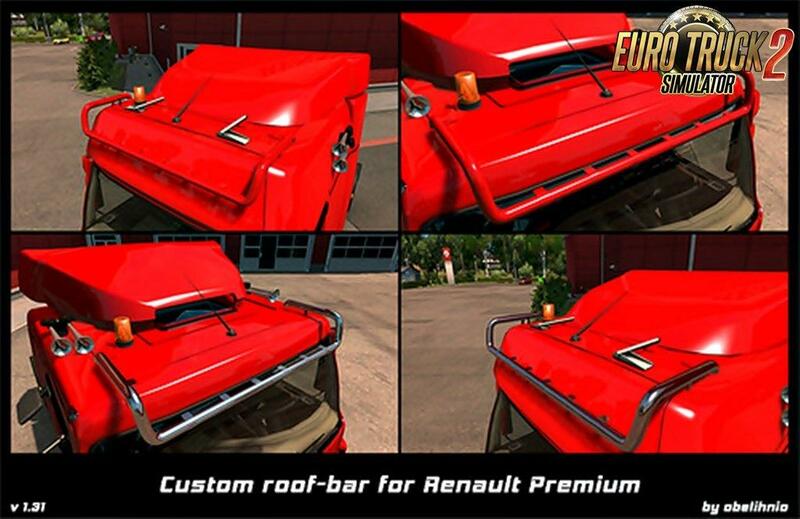 This mod adds a roof bar fitted to for both Renault premium cabins. 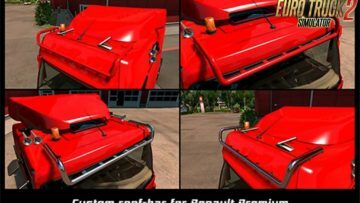 – 10 main slots for lamps/horns etc. should work with any mod using default SCS definitions for the truck.